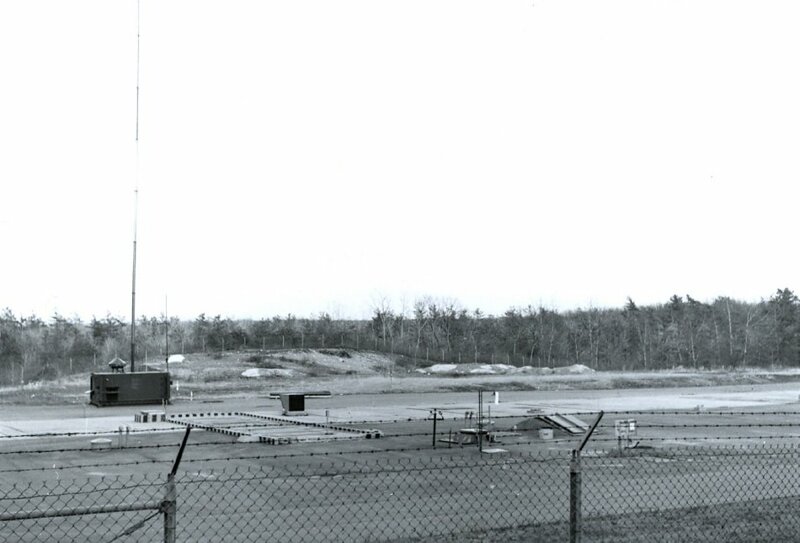 Photo of the Nike Missile radar and installation in Needham, MA. In the 1950s, the main threat to US security came from our former ally, the Soviet Union. After the Soviet Union successfully tested a nuclear bomb in August 1949, U.S. defense planners took steps to prepare for a possible attack. Once it was clear that Soviet bombers could range deep into US territory, the Army deployed a battery of anti-aircraft defenses around key cities. Needham was one of eleven batteries that formed a defensive ring around Boston and the defense-research sites in Cambridge. The weapons were Nike-Ajax missiles with radar guidance systems. The radar and command installation and the barracks were at the top of North Hill; the missile silos were in a field off Pine Street. The missiles were radar-guided, but radar at this time triangulated very slowly. In addition, it was only possible to calculate one trajectory at a time, so a missile had to be fired and reach its target (or fall) before the next missile trajectory could be calculated. Therefore, although there were twelve launch rails, only one missile could be launched at a time. Fortunately, they never needed to be employed. Ultimately, the most serious attack on the installation came from a completely unexpected source - WBZ-TV. In 1960, the station built a large TV transmission tower at the end of St. Mary's Street, effectively blocking out all radar readings from the northwest - which happened to be the most likely direction of a Soviet attack. The army shut the site down in 1963, and the land was given to the town. The silo field off Pine Street has been transformed into the Needham Community Farm and the new off-leash dog park.